Celebrating the life of Donald L. Shippy Sr.
Obituary for Donald L. Shippy Sr. 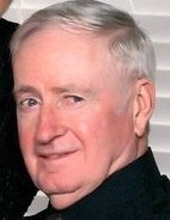 It is with great sadness that the family of Donald L. Shippy Sr., formally of Davis, IL, announces his passing on September 6, 2018 at 5:02 p.m., after a lengthy battle with Parkinson's Disease, he was 86 years old. Donald L. Shippy was born April 12, 1932 to Mr. and Mrs. Leland L. and Nellie (Blackmore) Shippy Sr. in Freeport, IL. Don will be lovingly remembered by his wife of 61 years, Barbara (Gehlhausen) and his children, Thomas (Michele), David (Barbara), Donald Jr. (Donna), William, Cherie (Trish) and Catherine (James) Horst. Don will also be fondly remembered by his 12 grandchildren, Michael, Kristina, Lauren, Autumn, Sarah, James, Joseph, Tyler, John, Alexandra, Elizabeth and Andrew, by his sister, Mary Ellen Shippy, sister in law Marie (Gehlehausen) Jensen and by his brothers James Jackson Shippy, Eugene Shippy and Dennis (Mary) Shippy. Don was predeceased by his brother Leland L. Shippy Jr., brother in law Ronald (Marie) Jensen and sisters-in-law Beatrice (Leland) and Beth (Eugene). Don graduated from Dakota High School in 1950. Don served in the Army as an operating engineer during the Korean War, then returned to the family farm in Davis, IL where he worked with his brother Leland, raising 6 children and many dairy cows over a lifetime. He will be missed and remembered by all who knew him as a devout, quiet, and hard-working man who loved his family. He is lifelong member of St. Mary/St. Patrick Catholic Church. Funeral Mass of the Christian Burial will be held at 10:30 a.m., Saturday, September 15, 2018 in St. Patrick Catholic Church, 5333 N. Irish Grove Road, Davis, IL. Burial in St. Patrick Irish Grove Cemetery. A visitation will be held at McCorkle Funeral Home- Durand Chapel, 101 Main Street, Durand, IL from 8:30 a.m. to 9:45 a.m. on Saturday. To send flowers or a remembrance gift to the family of Donald L. Shippy Sr., please visit our Tribute Store. "Email Address" would like to share the life celebration of Donald L. Shippy Sr.. Click on the "link" to go to share a favorite memory or leave a condolence message for the family.